When President Trump declared the opioid epidemic a national public health emergency, a regulatory change was put in place to help patients, especially those in underserved communities, receive the health care that they needed via telemedicine. Doctors are now able to prescribe addiction medicine virtually, sans office visits. In theory, telemedicine is a great idea. It can allow patients in rural areas or high-risk regions access to doctors whom they might not have had otherwise. 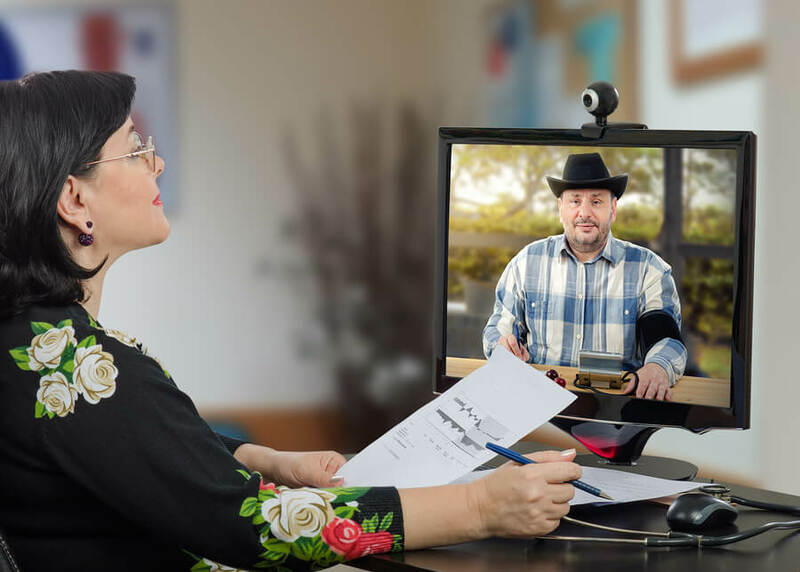 Telemedicine could be a blessing not only for those who don’t have local doctors who can assist them, but for others, such as the disabled and the elderly, who might have a hard time leaving the house and getting to their appointments. These benefits may explain why telemedicine is experiencing tremendous growth. According to the American Telemedicine Association, there are upwards of 200 telemedicine networks with 3,500 service sites in the United States, according to the ATA. Plus, more than half of all U.S. hospitals offer some form of telemedicine. But there are caveats. Telemedicine is still in its infancy, and not without its fair share of hurdles. Treating patients virtually might not be effective for all types of medical issues. There’s something to be said for a doctor to be able to perform an actual physical exam to ascertain what a patient’s ailment truly is, and to ensure they are following medical advice. A recent piece on NPR’s All Things Considered highlights these consideratons when it comes to people battling addictions. Mandatory drug testing to ensure that patients stay clean during treatment can be compromised when done remotely. More doctors need to be trained to treat addiction issues, and treat them remotely at that. In many cases, seeing patients virtually can allow more patients the ability to be treated than if they had to come into the office for traditional doctors’ visits. But in more sensitive situations, it might make sense for visits to be done in-person until a level of trust has been established. Ultimately, finding ways in which to make telemedicine work for everyone will be in the best interest of both doctors and their patients, providing quality care for all, no matter where they live.